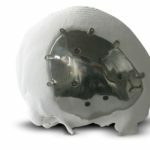 Cranio-Oss custom cranial implant | LASAK Ltd.
Cranio-Oss custom implants are indicated for anatomical reconstructions of bone defects in the area of the cranial vault and face caused by decompressive craniectomy; comminuted fractures and fractures with a loss of bone tissue; bone removal due to a tumour, inflammation, infection or rejection of previously implanted material. 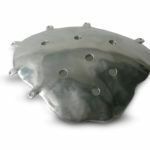 Cranio-Oss custom implants are made from synthetic biomaterials – technically pure titanium (c. p. Ti) or polyether ether ketone (PEEK Optima-LT), using the modern CAD/CAM method. 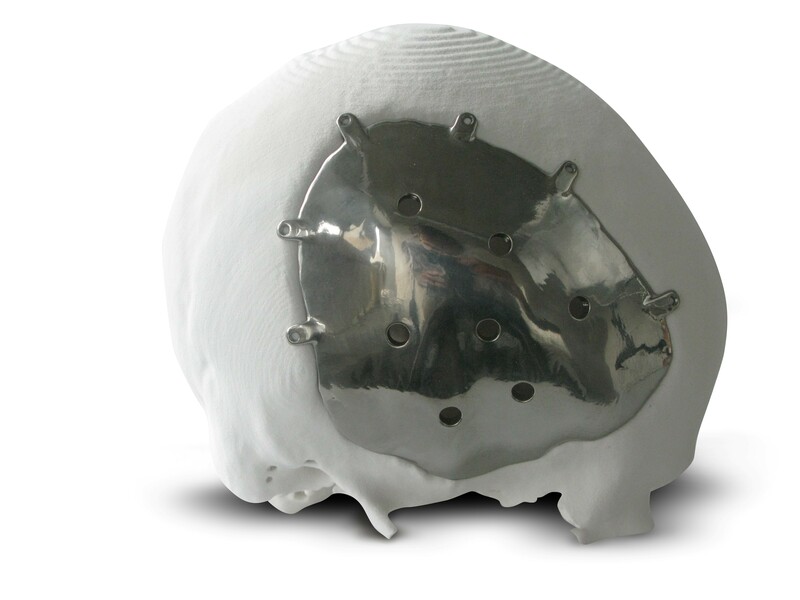 Customization of artificial implants for the specific defect and patient allows us to optimise the treatment of extensive bone defects. Modern CAD/CAM technology guarantees that the edges of the implant are precisely aligned with the edge of the defective bone and the entire implant has optimum thickness. 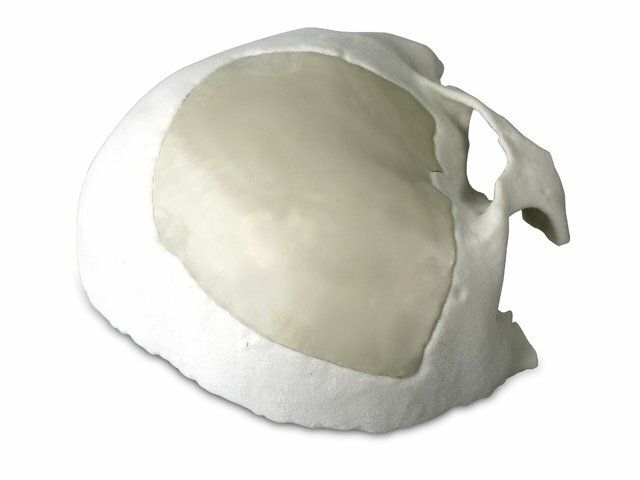 The implant surface that is in contact with the bone has a special surface to achieve optimum tissue response.